Read more on Threadripper's 5.2GHz overclock on LN2. Insane score. Shame it's LN2 though. Edit. Threadripper is actually insane, man. I score just about 2080 on my best run. 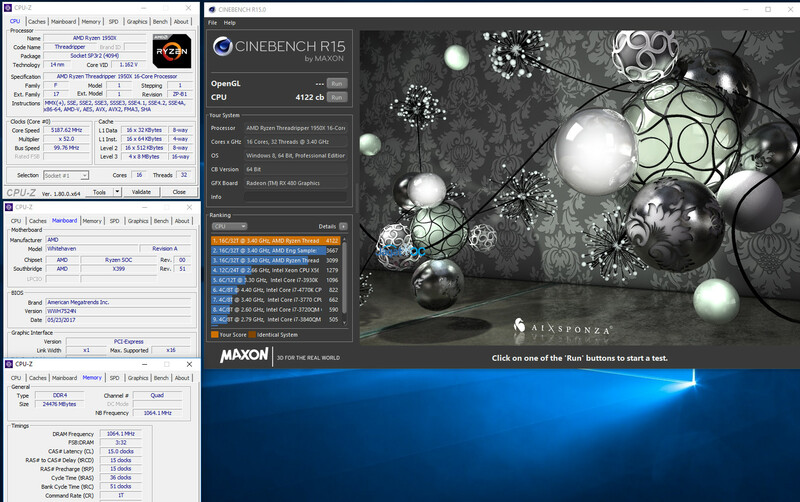 That's 14/28 Broadwell E @ 2.8ghz. However, 16 core in a crappy Alienware (it looks worse inside than mine did !) is scoring over 3000. Man, imagine you'd have told some one a couple of years back when they were getting like 800cb @ 5ghz on a 83xx overclocked that AMD would have a CPU two years later that could score over 3000 stock. That's actually frikkin' mind bending !